AVIXA has formed a partnership with the Association of Luxury Suite Directors (ALSD) with the aim of raising awareness of the fan-engagement benefits created by integrated audiovisual experiences in stadium and arena design. The agreement represents an expansion of AVIXA's ongoing initiative to increase industry awareness across a variety of markets. 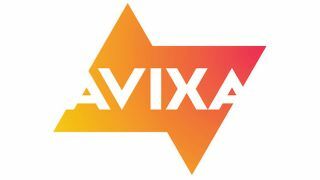 "AVIXA is engaged in a multi-year effort to raise awareness of the transformative impact of integrated audiovisual experiences in a range of customer segments," said AVIXA chief executive officer David Labuskes, CTS, CAE, RCDD. "Last year, we launched the initiative with programs in the retail, hospitality, higher education, and banking channels. Now we're engaging the sports venue and arena channel in order to demonstrate to team and venue owners, architects, and designers that the way to create a more compelling fan experience is through the integration of audiovisual solutions. Our partnership with ALSD will enable us to reach sports thought leaders in ways that will increase business for all AVIXA's members." As part of the partnership, AVIXA will host panels and roundtable discussions at the 2018 ALSD Sports Venue Design and Build Forum, June 25-26 in Atlanta, and at InfoComm 2018, June 2-8 in Las Vegas. These events will bring together representatives from teams, venues, architecture, and design firms, and AV integrators. The agreement also includes AVIXA sponsorship of ALSD's Spotlight Awards, which recognizes leaders in stadium and arena design. As part of the sponsorship, AVIXA and ALSD will introduce new award categories recognizing innovative use of audiovisual solutions in sport venues. Also with the agreement, AVIXA CEO Labuskes assumes a seat on the board of the ALSD Sports Venue Design and Build Forum, which includes executives from AEG, the Texas Rangers, Speedway Motorsports, and other organizations, including leading design and engineering firms. "The sports and entertainment venue marketplace is not one business; it's an amalgamation of businesses that curiously tie together," said Bill Dorsey, chairman, ALSD. "Who ties this together? Often it's the audiovisual and technology integrator. AVIXA is a huge organization that represents this group of manufacturers, designers, and systems integrators, so the ALSD's partnership with this association makes complete sense. AVIXA represents the experience of the fan who watches the scoreboard; uses the menu boards; connects to the Wi-Fi network; watches the game from an in-venue sports bar; and so much more. In short, AVIXA is the glue that keeps the fans engaged. All of us at ALSD look forward to partnering with AVIXA and its members to promote to our audience of venue owners, team management, and industry designers and architects the power of audiovisual technology in creating the future fan experience."